Estimators prepare work to be estimated by gathering drawings, specifications and related documents. They then review materials, attend meetings and do whatever is necessary to determine the scope of work and the required contents of estimates. A working knowledge of current and local electrical codes as well as trade services is required. Successful applicant will have a great work ethic, be able to network effectively with customers, vendors, suppliers and company team members. Must be able to travel for networking opportunities to research and open up new lines of business. We’re looking for a Project Estimator to join our team at Tyler Electric. Ready to get your hands dirty working in all aspects of commercial and residential electrical? Then read on! You’re a natural salesperson with an outgoing personality. Project Estimators work with a number of project stakeholders including architects, developers, owners, vendors and others. You should be comfortable attending meetings, asking the necessary questions and negotiating with suppliers. Our Project Estimators procure and track change orders, change proposals as well as preparing bids and proposals for our customers. If you don’t know the answer to a question, you’re comfortable finding the appropriate information sources and communicating it clearly. You are organized… even when things are busy. Because you’ll be preparing estimates on multiple projects concurrently you should be a naturally organized person. As a Project Estimator you enjoy a good checklist, dotting the T’s and crossing the I’s but are always on the lookout to improve the process – both for yourself and for your teammates. You’re driven with an outstanding work ethic. You’re reliable and honest. Come heck or high water, we keep the promises that we make, and we are looking for Project Estimators who hold themselves to the same high standards. You pride yourself on attention to detail. As a Project Estimator we don’t (or at least we shouldn’t) need to tell you that the details really do matter. You’re meticulous, thorough and proud of your work. With this in mind, as a Project Estimator you should enjoy and be able to work on a job site with minimal supervision and be able to report back on the progress and status of the job at regular intervals. Prepare work to be estimated by gathering drawings, specifications and related documents. Review specifications, drawings and attend pre-bid meetings, etc. to determine the scope of work and required contents of estimate. Review bid documents prior to bidding to check for completeness, accuracy and coordination with other trades. Negotiate buy numbers with suppliers to obtain competitive pricing. Procure and track change orders as well as review pricing of any change proposals and change orders. Verify and maintain up-to-date electrical database pricing information. Present prepared estimates by assembling and distributing numerical and descriptive information. Prepare bids/proposals/quotations and send them to customers, providing any needed followup while answering customer questions. Must have working knowledge of current and local electrical codes. Must have knowledge of trade services and the electrical contracting and construction industries. Able to network effectively and professionally with customers, vendors, suppliers and company team members. Able to travel for networking opportunities to research and open up new lines of business. There’s something about doing a job right that’s just good for the soul. From office staff up through master electricians, each of us believe in working hard and to the best of our abilities. Not just because it’s our job but because we know that the work we do is important and enduring for our customers. We encourage a healthy balance between the commitment you make to us and the commitment you’ve made to your family. In addition to your compensation package, each employee begins accruing vacation time 60 days after beginning work. It’s all a part of our philosophy that you should work to live, not live to work. Our work is primarily in the Gallatin Valley area that surrounds Bozeman, Montana. On occasion we travel to perform work throughout Montana, Wyoming, Idaho and the Dakotas. 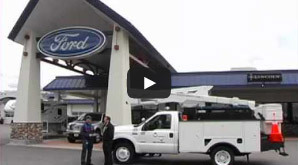 When travel is required employees are paid a per-diem and lodging is provided and paid for by Tyler Electric. We also ensure that employees will travel in company provided vehicles. As a project estimator your travel will be on an as-needed basis and duration will be determined by a particular project. A competitive starting wage. Starting wage for this position is dependent on your experience and qualifications, but the successful applicant can be assured a competitive salary. Again, we’re seeking the right individual to contribute to our company and look at this as a long term investment – both in your future and ours. 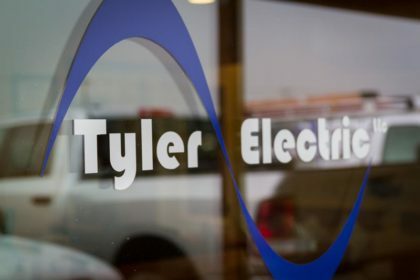 If you’re looking for a great, family-owned company that values and respects each of our team members, then maybe you’ve met your match in Tyler Electric! Our Project Estimator will receive a comprehensive compensation package, awesome benefits and the opportunity to work and play in the mountain town of Bozeman, Montana – consistently ranked as one of the top 10 places to live in the United States. We encourage you to get in touch with us by email: office@tyler-electric.com, by phone 406-284-2320, or by filling out the brief application below. Let us know if you have any questions!